Hell on Earth comes to an end when the B.P.R.D. must defend earth from one of the mythical Ogdru Jahad, the dragon believed to bring about the end of the world. The agents must destroy the dragon and the countless monsters it creates. Elsewhere, Russian occult director seeks help from a demon as he follows her through Hell. This is the final volume of the B.P.R.D. 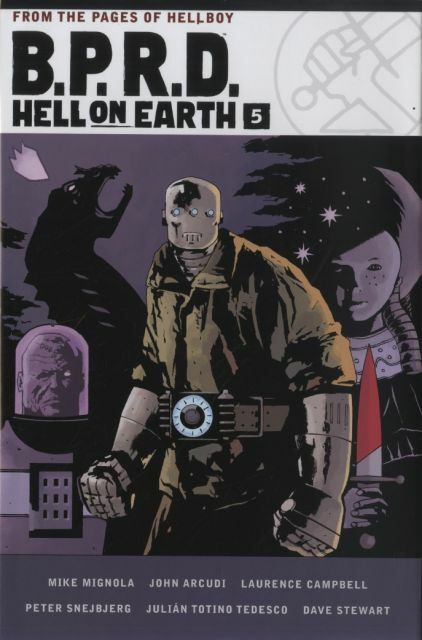 Hell on Earth omnibuses, leading into the current storyline B.P.R.D. : The Devil You Know. This hardcover edition collects B.P.R.D. Hell on Earth volumes 12-13, and 15, plus bonus material. Diesen Artikel haben wir am 21.03.2019 in unseren Katalog aufgenommen.